Perhaps you’re a DIY enthusiast, perhaps not, but there still comes a time and day when you make use of certain tools. Let’s be honest, nowadays it’s more affordable to enlarge your toolkit (or tool collection), and learn how to create things on your own than having to rely on professionals. Such is also the case with woodworking, and apart from paying attention on all the different types of circular saw online available for sale, it’s equally important to pay attention on the PPE (personal protective equipment). It’s a fierce power tool with a mighty blade (no matter whether cordless or corded); this means you’re going to have to wear the adequate protective gloves, as well as glasses, including a mask to cover up from the flying debris. Given that the circular saw online you’d come across also has a powerful motor, it’s advisable to wear ear protection as well, considering this tool makes for noisy work. Still speaking in terms of safety, it’s advisable to read through the manual prior to using this tool, and get a bit of practice first before taking up some challenging tasks. Great thing about designs of today is the presence of useful features, in the likes of motor speeds, and soft grip functions, as they’re meant to provide the user with easier control over this tool. It’s needless to say you’re going to have to mark the material (e.g. wood) with where you intend to cut, and likewise it’s just as crucial to set the proper depth of the cut, adjusting the blade and the guard (on down position before you place the saw on the bench). Bear in mind to check whether the guard is in the right position when you’re done using the tool. Since there’s bound to be kickback at one point or another, you shouldn’t set the blade at any considerable difference than the thickness of the material you’re cutting. For instance, if your timber is 30mm, you have to set the blade at 35 to 40mm, i.e. not too much of blade sticking out. Also, be sure to inspect the blade every time you’re about to cut, because rusty, dumb blades lead to accidents, and don’t get the work done properly. 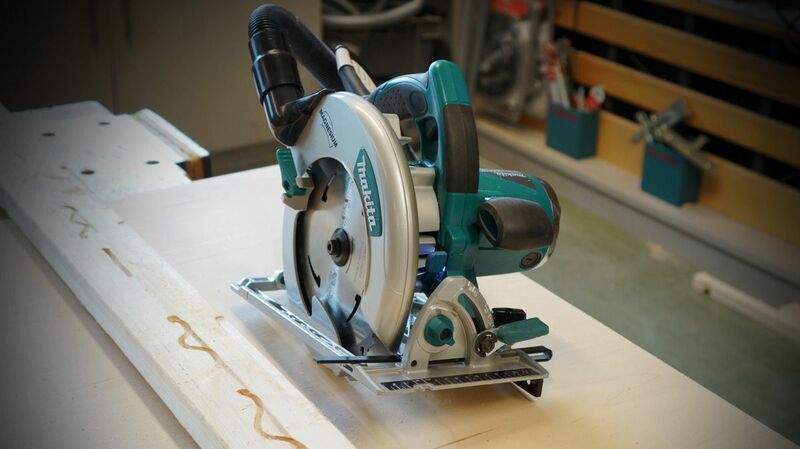 Depending on the material you’re cutting, considering this sort of power tool isn’t only good for woodwork, but other materials as well, like brick, concrete, and metal, it’s preferable to learn a thing or two more about the different cuts you can make. What might do the job with rip cuts, may not be that good with crosscuts, for example.